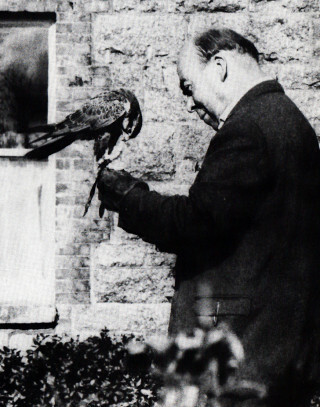 "The Father of Modern Falconry"
No history of Irish falconry would be complete without a mention of Ronald Stevens, unquestionably the guru of the sport in modern times. Stevens came to live in Connemara in the early 1960s, settling in the remote Fermoyle Lodge. 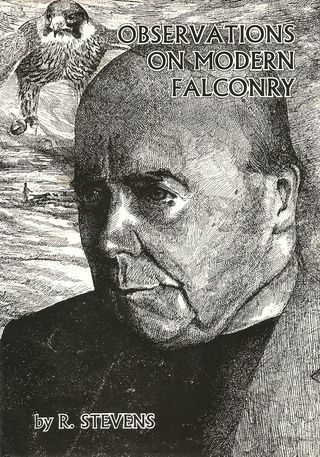 In a letter in the British Falconers’ Club journal, The Falconer, Stevens describes his move to Ireland, his search for a remote place where ‘my hawks can fly without risk of being sniped at’ and his hacked Jerkin coming to sit on a nearby rock ‘above the tumbling waters’ while he was fishing. Despite his best efforts, his house became something of a Mecca for falconers from all across the world. Stevens not only inspired generations through his classic treatise Observations on Modern Falconry and The Taming of Genghis, but also imparted much knowledge on to a privileged handful of Irish falconers, particularly the Hon Johnny Morris. The two accidentally invented the hybrid falcon in the 1960s, when Stevens became frustrated with trying to breed peregrines and asked Morris if he could try the tiercel with Morris’ Saker falcon, a bird sourced by the then Iran-based US falconer Kent Carnie. The pair got on famously and hatched out two males that first year. Letters of congratulations and intrigue arrived from around the world. 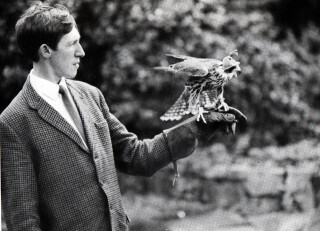 Stevens and Morris flew one each, noting a similar temperament to the peregrine. A further three were bred the following year, this time including a female who stunned the two men by her size. This bird appeared on the glove of Charlotte Rampling in the John Boorman film Zardoz. She was lost by Stevens in Mayo. In his later years, Stevens’ eyesight began to fail and falconry became less practical. He moved to the smaller, more manageable Bunagipaun, closer to the village of Oughterard. He died in 1994, leaving some money to the IHC which went towards a breeding fund. A hooded falcon sat on the glove of Johnny Morris during the funeral ceremony in Oughterard. website. 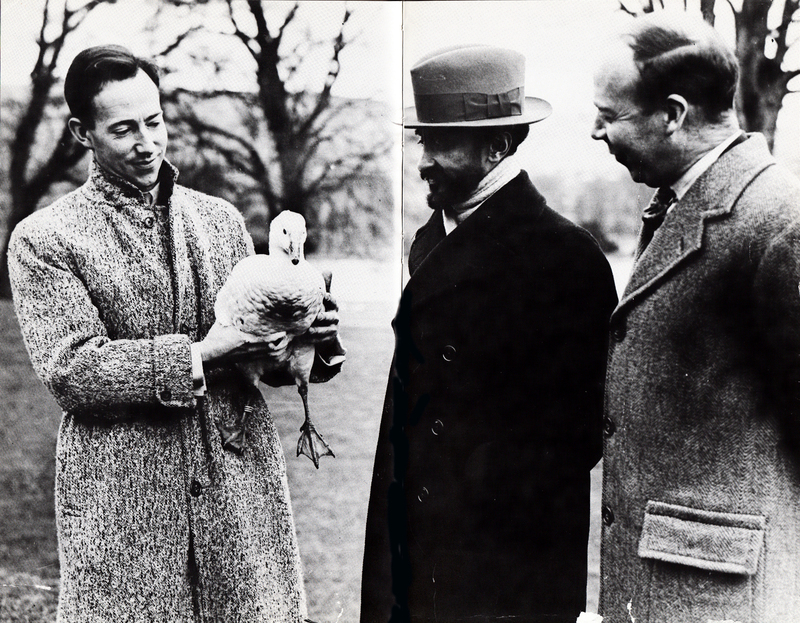 He brought so many famous people to Oughterard and was admired by Ethiopian king Haile Selassie with who he had close friendship. 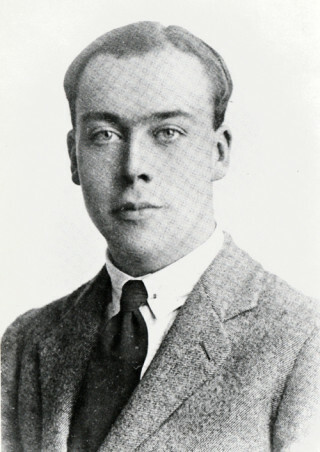 Ronald Stevens was born in England and privately educated. Not wanting to join the family business, he became overseer of his father’s cattle farm in Worcestershire. 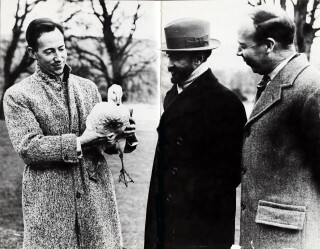 There he pursued his interest in ornithology and cultivated a large collection of waterfowl, which was ultimately moved to an estate in Shropshire in the 1930s. However, the estate was requisitioned for military use in World War Two, and the collection was destroyed. 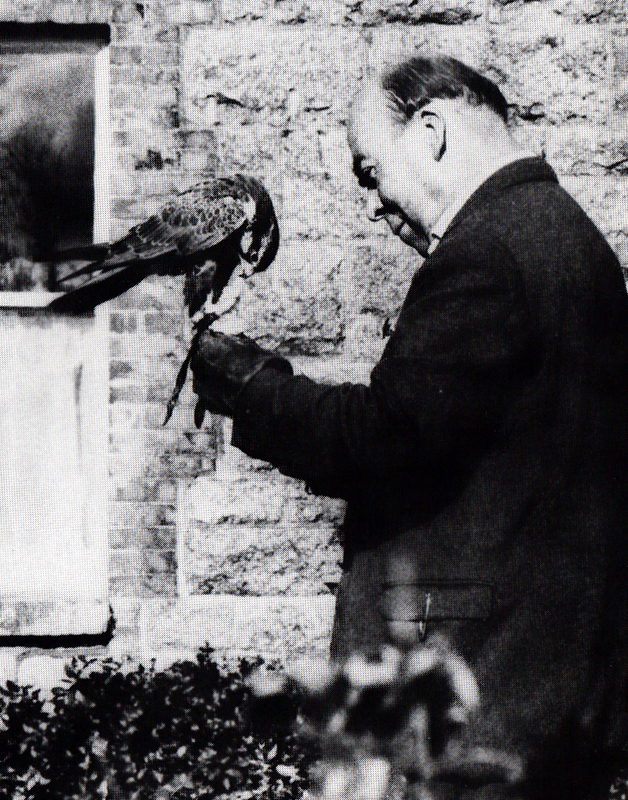 Following this, Stevens dedicated his life to falconry, a sport that completely captivated him; few falconers developed greater or more enduring reputations for their passion and commitment. In 1956, to find solitude and to escape the overgrowth of bracken on the English moors, Stevens moved permanently to Connemara in County Galway, Ireland, where he lived until his death in early 1994 at age 91. Described as a quiet, kind man, gentle by nature and always somewhat embarrassed by his fame, he was an able and painstaking tutor in falconry to those who requested his help. He maintained an enormous correspondence with falconers throughout the world and was always welcoming to those who traveled to his isolated home. 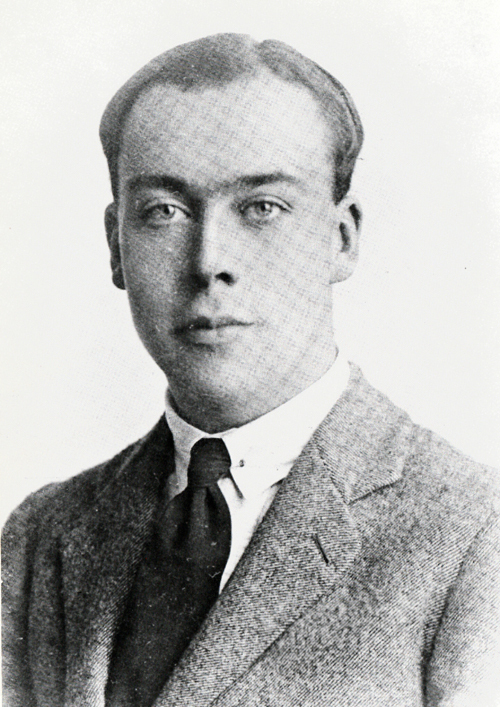 Stevens authored four books: Laggard, The Taming of Genghis, Observations on Modern Falconry, and the biographical, A Life With Birds. This page was added on 31/10/2011. After long search, this was the first source I located for the birth and death years of Ronald Stevens! I would be very grateful for those for his brother Ronald as well.